There’s no better example of the war between form and function than smartwatch design. There are boxy, bulging, touchscreen wearables that do almost everything your smartphone can, and there are sleeker analog alternatives that maybe keep track of how many calories you’ve burned. With the latest version of the Vívomove HR, Garmin has tried, and mostly succeeded, in balancing both approaches, creating a smartwatch that hides a respectable list of features behind a traditional analog face. A hybrid smartwatch that can hide all of its smarts when you just want a watch. Lightweight, minimal design that still manages to include a lot of smart features. Proprietary charging cables need to be eliminated. 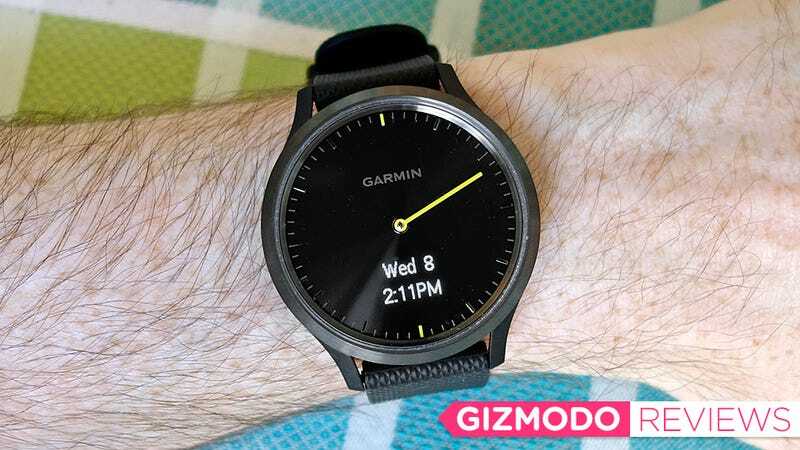 Garmin describes its newest Vívomove HR as a ‘hybrid’ smartwatch, which is a term often used to describe something that’s been assembled from different parts to create a final product that’s the best of all its sources. But when it comes to gadgets, ‘hybrid’ also usually means you’re going to have to live with some compromises, and that’s certainly the case here. Available in a $200 black or rose gold version with a silicon strap and plastic housing, or a $300 gold or silver version with a leather strap and steel housing, the Vívomove HR looks like a classic analog watch, with a clean numberless face, hour and minute hands, and a distinct lack of any buttons or crown. Garmin has positioned the Vívomove HR as a sports and fitness tracker so part of its design allows it to be worn in the rain, shower, or while sweating during a workout. Yet it can also easily pass as a formal timepiece for work or special occasions. With its tiny LCD screen off, the Vívomove HR looks like a plain old watch. But no one’s going to mistake the Vívomove HR for a Rolex, and even with a glass cover over its face, parts of the timepiece I was sent for testing are going to inevitably get scratched up. Even the $200 base model is still going to be an investment for some users, and I would have liked to have seen more durable materials used across all the models. 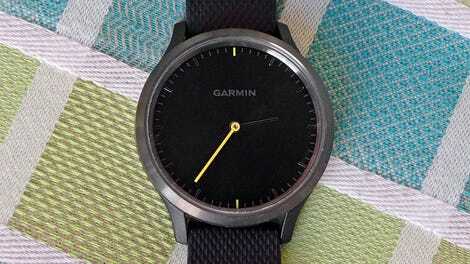 However, the use of plastics does result in a thin, lightweight, and very comfortable timepiece that’s part of Garmin’s efforts to camouflage the Vívomove HR’s smarts. In fact, most of the time while you’re wearing it, the smartwatch looks nothing like a smartwatch. It’s only when you raise your wrist to look at the time that a hidden black and white LCD display is revealed on the lower half of the Vívomove HR’s face. That LCD screen is all about basic functionality. The watch’s hidden display is as basic as it gets. The resolution is abysmal, and the poor contrast makes it hard to see in bright sunlight. It’s the Vívomove HR’s least impressive feature, but as a way to deliver basic information, it definitely gets the job done, and without requiring you to charge the smartwatch every single night. Say hello to yet another charging cable that will need to tag along on your travels. Garmin promises about four or five days of heavy use between charges, or up to two weeks of battery life when you disable all the watch’s smart features. That’s a definite plus because Garmin has unfortunately chosen to go with a proprietary, clip-on charging cable that you’re inevitably going to forget to bring when you travel. The Vívomove HR’s hands move out the way when you’re ready to swipe through menu options. The Vívomove HR features all of the stat-tracking capabilities you’ll find in the company’s dedicated fitness trackers, including an optical heart rate monitor that I’ve found to give the same readings as the Apple Watch’s, and metrics derived from a built-in motion sensor like steps taken, stairs climbed, calories burned, and distance covered. Garmin also claims to be able to measure the wearer’s stress by keeping tabs on heart rate fluctuations, and the smartwatch’s software can automatically detect repetitive arm motions and track swimming, cycling, and other activities. I’ve long been a fan of the functionality and features Garmin packs into its fitness trackers, it’s the brand I still recommend to people, and the latest version of the Vívomove HR has all the bells and whistles most amateur athletes could want. As a smartwatch, however, it’s the basics only. The watch mirrors the notifications you get on your smartphone—texts, emails, incoming calls—but that’s about it. You only get to see a small snippet of long messages thanks to the Vívomove HR’s small screen, and there’s no way to reply from your wrist. You are able to use the watch as a remote for whatever music your smartphone is playing, but apps and other more advanced smartwatch features are nowhere to be found here. The Vívomove HR hides its smart functions very well. 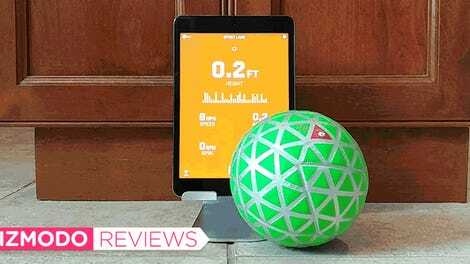 Is the Vívomove HR an Apple Watch-killer? No, but it doesn’t claim to be. This isn’t a smartwatch for the smartphone-obsessed who want every last feature of their mobile device accessible from their wrist. It delivers the smartwatch basics, alongside a very solid set of fitness-tracking features, including a heart rate monitor. Where it might nibble away at the Apple Watch’s market share is with users who don’t want a shiny glass square strapped to their wrist, but who prefer the look of a more traditional watch. Garmin has managed to upgrade the original Vívomove HR, a clunky fitness tracking bracelet, into a wearable that will let you hide your need to always be connected. The first smartwatch with a decent set of fitness tracking and connected features that can hide all its smarts. A solid wearable option if you don’t want to have to switch between a fitness tracker and something more dressy. I’m never a fan of having to use proprietary charging cables. The base model’s plastic housing is easy to scratch. The watch’s basic black and white screen limits how much info it can show, and it’s not great in bright sunlight. Garmin’s basic operating system doesn’t give you access to any popular smartwatch apps. The motor that moves the hour and minute hands out of the way can be quite loud at times. Correction, 11:03 a.m. EST/EDT: We previously reported that a plastic cover was used to protect the watch’s face, but have since learned it is actually a thin panel of glass. We regret the error.